This feature article was co-authored by Charles Russell, staff writer for DAM News and Ralph Windsor, editor of DAM News. Justifying an investment into any enterprise software application such as a DAM system can be a daunting task for managers who have understood the benefits of Digital Asset Management, but who are now wondering how to prove they have tangible ROI to their colleagues. Taken as a whole, the technology sector has an inauspicious history of failing to meet the ROI promises made for it. As such, it is understandable that requests for funds are met with both caution and a degree of scepticism about whether or not they will meet their objectives. Our recent report on DAM vendor pricing exposes a market characterised by a combination of a lack of transparency and confusion among some vendors about the true cost of implementing and running a Digital Asset Management system. The differentials between systems that are arguably comparable may often run into tens of thousands of percentage points. The price/value disparity combined with general caution about making software technology investments can make the road to obtaining funding appear to be a steep one. 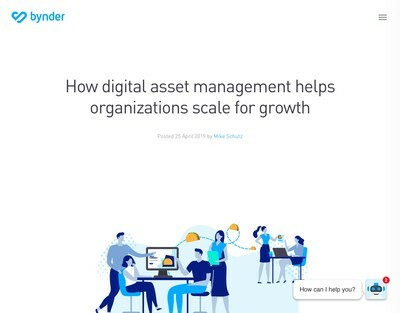 With the roll-out of complex foundational platforms such as Digital Asset Management, many managers may request oversized budgets to cover the risk of scope creep and difficulty of predicting with any accuracy how much the final cost will be. In order to counter this effect, a more efficient and risk-aware approach might be to deal with the most immediate and critical issues first with a smaller and more targeted DAM implementation. By reducing the initial investment and opting for a pared-down solution without the complexity of a monolithic enterprise DAM, monitoring performance and measuring ROI can also be simplified. Should the solution yield positive results after a period of time, further enhancements can be budgeted for after real-world feedback has been gathered – requesting more funds for a scope change after a small scale success tends to be easier than after a large initial expenditure whose potential ROI has yet to be accurately gauged. Are you replacing a DAM or is this a new solution? Why do you think you need a DAM system? What are the key objectives for your DAM solution? If you do nothing, what will the impact be? If you are replacing a DAM, you have the advantage of a case study about what works and what doesn’t. There will also usually be at least basic awareness of the issues associated with DAM governance and maintaining operational effectiveness (cataloguing assets, managing controlled vocabularies, user permissions etc). Equally, however, limitations with the current platform might also limit willingness to embrace new methods of working and often, the old solution becomes too much of a template for the new one. There is also the complexity of migrating the assets from the legacy DAM to a new system. Although this task is easier than it once was, the activity is not without risk nor cost. By contrast, if you are starting from scratch, you are unencumbered by historical precedents or requests from users who are reluctant to change their working practices. There is also no need to deal with potentially complex migration challenges which can be both risky and expensive in terms of professional services fees. On the other hand, a lack of an existing solution means there is far less data about what works and what doesn’t, so an element of experimentation will be required (not all of which may be successful). Further, although there is no data migration, per sé, it is almost certain that users will want to start with some assets in the system at the point it is launched. This implies batch loading of assets and the need to prepare spreadsheets, collect assets together etc. Batch ingestion is easier than migration, but still not completely straightforward. With reference to the other questions, common myths and misconceptions about what a DAM is used for and what it can (or cannot) achieve may still ripple throughout an entire project and yield less than satisfactory results. 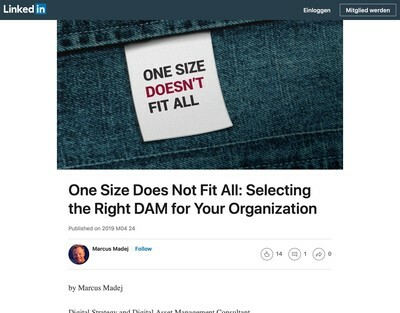 As far as realistically possibly, implementing a DAM solution should not simply be viewed merely as a software exercise, but as a fundamental cultural change to your organisation’s DNA. Identifying such problems before considering possible solutions can assist in providing a more refined and logical roadmap than a traditional top-down approach. As is often the case with more complex solutions, large swathes of functionality (that your organisation has paid for) may never be used, nor even understood. Pursuing the art of doing less work and getting enhanced value out of your digital assets are two of the most fundamental drivers behind a DAM system. Vendor shopping and the associated window-dressing, however, can have a tendency to divert attention away from your carefully crafted proposal and dilute your initially refined scope into a confusing slurry of options and add-ons. These considerations need to be weighed carefully, especially in answering the question, what will be the impact of doing nothing? As part of presenting your case for a DAM, the next question after “how much money will this cost?” will invariably be “how much money will this save?” – with the difference between the two forming the basis of your ROI calculations. Once again, and with all practical considerations set aside, this goal might also appear to be easy to accomplish. However, in reality, most current methods used to measure ROI are deeply flawed, and their unsubstantiated findings are likely to be recognised as such and summarily dismissed by any discerning manager. A cursory review of vendor websites will yield a wealth of statistics that might as well have been pulled from a hat. 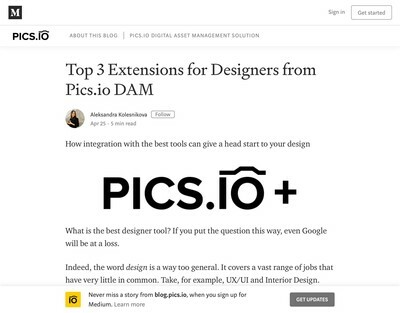 Claims such as “this DAM will save X hours per employee per week”, “DAM reduces search failures to less than 5%” or “DAM increases brand consistency by 30%” are likely to be pure fabrication, and at best an over-simplified and ill-calibrated attempt at auditing the metrics of an isolated DAM instance that bears no resemblance to your own intended scenario. “There is nothing wrong with selling or marketing DAM software and services, but when it comes to properly assessing ROI, those on the sell-side of DAM owe it to their clients and customers to be absolutely 100% honest. Setting aside any ethical arguments about why it’s a bad idea to tell your customers fibs about what your products will do for them in the manner of some 19th century travelling apothecary, the obvious flaw with this technique is that before long you are going to get called to account and asked to prove your case. This could pose a problem if there is no factual basis to support the original assumptions. The reality is that accurately measuring the ROI of a DAM system is a difficult and refined exercise. The true worth of digital assets (and whether or not you can even find them) is mostly hidden from view, it extends deep into the intangible realms of your organisation’s workflows and culture. This is not to say there is not ROI in DAM software, but a good comparison is to ask what the ROI of email is? Adding up the time saved by not having to print out and circulate memos to colleagues and groups of staff is difficult to precisely calculate, however, does this mean you are likely to ditch your email system and go back to paper memos? There is an obvious productivity benefit to using email, even if you cannot fully assess its contribution to the organisation’s bottom line. The same effect is in-play with Digital Asset Management solutions. Apart from the obvious gains in productivity, there are numerous benefits to a DAM system which evade conventional ROI measurement as they are less palpable and prominent than the assets themselves. Although it’s true that working software is a primary measure of progress, much of a DAM’s value can often only be determined once it has been in active use for some time (i.e. an outcome-based result). However, there are certain aspects of a DAM for which the ROI can be defined and presented up-front with some degree of confidence. The value of centralising, cataloguing and versioning your assets is of obvious benefit, as is providing a single point of entry for users to access them. The time saved searching for assets adds up very quickly, especially if there are many users and a high volume of assets (if there is only a small number of users or files, a fully-fledged DAM may be too excessive and a vigilant housekeeping regime combined with inexpensive scalable solutions such as Dropbox and Google Drive might be a more suitable alternative). If you are intending to use a DAM as a means of brand management and maintaining compliance with brand guidelines, the value of everyone being on the same page and protecting the continuity and consistency of your organisation’s brand is also obvious. Once again, brand integrity is an intangible qualitative factor that’s hard to measure using quantitative language and processes. How much is it worth to ensure that everyone in your organisation is using the latest logo, or that the correct colour swatch is sent to the merchandise department? The same level of risk-awareness (perhaps to an even greater degree) can be applied to copyright and rights management. Most DAM systems now have far more robust rights management features than was once the case (although there is still considerable scope for improvement). Their immediate benefits are also difficult to quantify up front, safeguarding against the risk of copyright breaches and misuse of someone else’s intellectual property should be considered a necessity in today’s litigious climate. During the recent IEN conference, it was noted by one panellist that the best way to persuade senior management to understand the importance of rights management was to ‘get sued’. Sometimes focus tends to improve more quickly when a negative outcome is in-prospect. If you do not have appropriate rights management mechanisms in place, having to cover legal fees in the event of a copyright claim will undoubtedly have a substantial impact on bottom line and a corresponding potential improvement in the ROI obtainable from a DAM. Manually selecting, attaching and emailing digital asset files (especially high quality media files such as audio and video) can become laborious, especially if a daily undertaking. 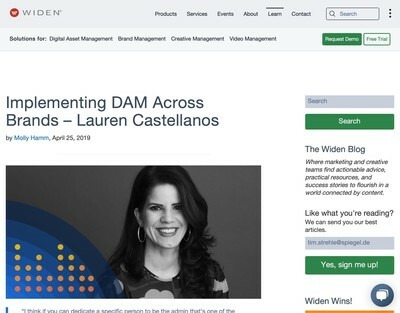 Most DAM systems can automate these tasks with built-in features that can compile a list of assets and send them off to multiple recipients with the press of a button. Increasing the efficiency of your digital asset supply chain by providing easy to use distribution features and supporting a wider range of channels, platforms and devices can represent a significant productivity boost for your organisation. Capable and well implemented collaborative features such as the ability to share digital assets across multiple departments can further grease the wheels of the time and motion machine. Having access to accurate data such as the number of assets, where and how often they are being used (and reused), user activity and general workflow trends can provide detailed insights into the effectiveness of your DAM, informing you what’s working, and which areas might need improvement. We can see that calculating DAM ROI is a complicated matter, one which is heavily influenced by the characteristics of the implementation rather than the technology itself. For example, the expertise required to use a more complex system that has clear software advantages might negatively offset its perceived value if untrained staff are using it inefficiently. In many scenarios, users represent the creators, administrators and consumers of your digital assets. The efficiency of these combined activities is crucial to the smooth operation of the DAM system and the digital asset supply chain as a whole. With this in mind, there are a number of additional user-centric considerations that can have both positive and negative effects on ROI. Due to time spent training and fostering user adoption, the introduction of a new DAM system might initially cause a drop in productivity – this should be factored into your calculations and is generally unavoidable. Prepare comprehensive training, adoption and change management plans – the subtle interplay between your organisation and its staff after the introduction of new technology can easily become a bottleneck or a source of frustration. Be willing to adjust your predictions and expectations to align them with the pace and impact of adopting a DAM. Managing the daily operations of a DAM initiative requires professionals with the necessary qualifications. You should try not to fall into the trap of dismissing existing personnel who already have knowledge of your digital assets with the expectation that the DAM system will simply replace them. Neither should you underestimate the value of digital asset gatekeepers such as archivists, librarians and taxonomists – their skills and experience will be fundamental in your understanding of the system as a whole. Where possible, strive to get them closely involved in the process of building a business case as early as possible. Factoring in the cost of hiring experts with the necessary skills should help reduce the likelihood of unexpected costs further down the line when it becomes more difficult to re-engineer solutions that were poorly planned during the earlier stages. As should be apparent, quantitative approaches to calculating ROI are likely to be flawed and we need to look beyond them. By focusing on the immediate problems, starting with a simple ‘with or without DAM’ outcome-oriented method, you should be in a strong position to form your own definition of what constitutes a successful solution and how to best measure its ROI using performance indicators based on qualitative information and real-world data based on actual usage rather than conjecture and marketing hype.